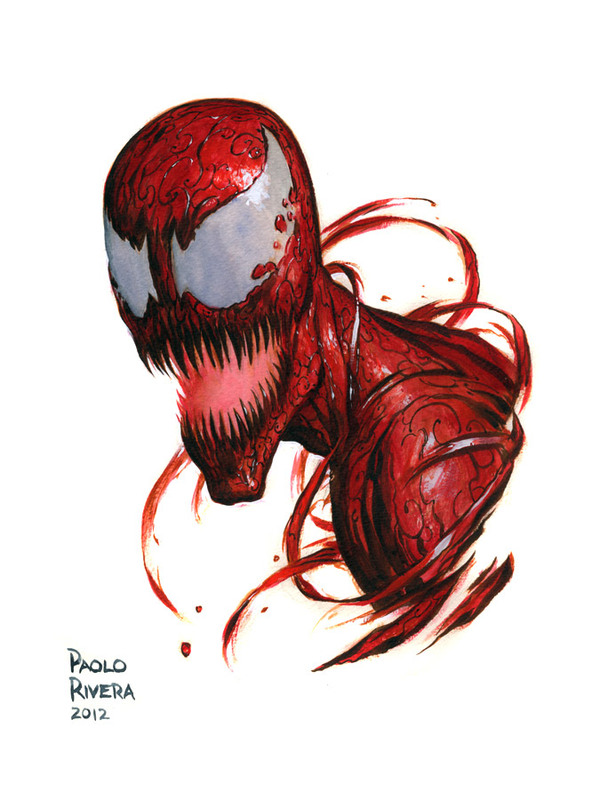 Carnage. 2012. Watercolor and acrylic on paper, 9 × 12″. that is awesome! makes me want to play maximum carnage for SNES! Oh, wow! I can't say that I'm really a Carnage fan but this commission is fabulous! I love the detail. Thanks, guys! I never played the SNES game, but I sure copied a lot of art from the Maximum Carnage trade.